I you are all having a pleasant day and are enjoying the start of the 2011 Major League Baseball season. In our continuing series, today we are chatting about the signing habits of 2nd basemen in the Hall of Fame. Bobby Doerr / Red Sox – One of the all-time great signers. I have never seen him turn down a request – even with multiple items. Mr. Doerr is 92 years old and still going strong. 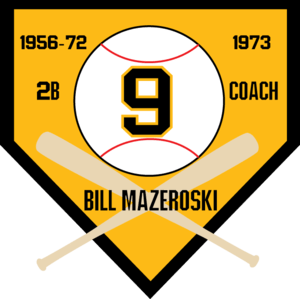 Bill Mazeroski / Pirates – He used to be a great signer but those days are gone. He is very difficult now and if he does sign for you consider yourself lucky indeed. Joe Morgan / Reds – “Little” Joe is a prolific signer and will almost always sign one item for a collector. He has a great, outgoing personality and loves to chat it up too. Ryne Sandberg / Cubs – On the quiet side, Mr. Sandberg will usually sign one item unless there are too many collectors. Because he and the Cubs are so popular, there are ususally too many collectors. Red Schoendienst / Cardinals – was at one time, a great signer. Now not good at all. Mr. Schoendienst is 88 years old and really doesn’t want to be bothered. That covers it for Hall of Fame 2nd basemen. I hope you are enjoying this series. In the meanwhile, feel free to check out my webstore at www.autographedfirstdaycovers.com . This entry was posted in Uncategorized and tagged 1960 world series, 2011 Major League Baseball season, baseball, Bill Mazeroski, Bobby Doerr, boston red sox, cardinals, cubs, Joe Morgan, pirates, Red Schoendienst, red sox, reds, Ryne Sandberg. Bookmark the permalink.